Processing your product and bagging it? 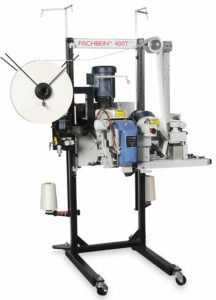 Buckle Packaging supplies Fischbein stitchers to close your bags neatly and securely with a good appearance. 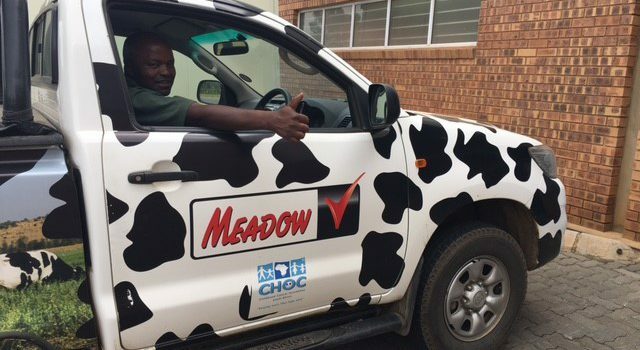 From humble beginnings to a company owned factory 40 years on. 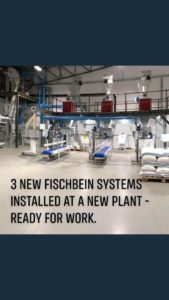 If you are packing any sort of seeds, read what FISCHBEIN has to say about the latest seed packing technology. Our company is all about its people! Our staff look the part kitted out in their Buckle Packaging caps – we’re part of a team! Buckle Packaging was started in 1979 with the aim of supplying the agricultural sector with quality end of line packaging machinery. As sole agents for Fischbein-Saxon from the USA and UK. 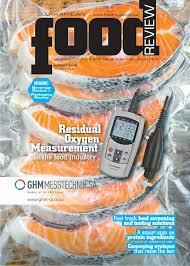 Read all about the 40 years of Buckle Packaging success in the June edition of Food & Beverage Reporter, Anniversary article on page 30. 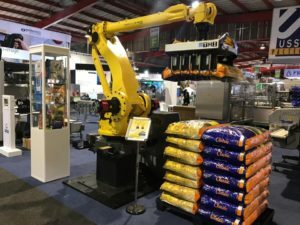 Here are some photographs taken at the Nampo Harvest Day 2018. 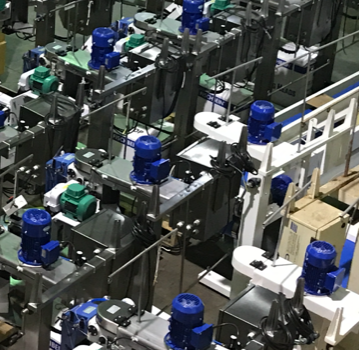 Industrial Buyer has written a great article about the uses of the end of line packaging machinery that Buckle Packaging sells. 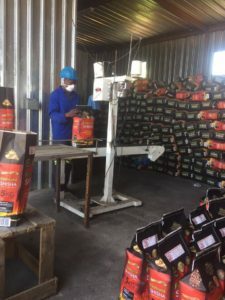 The service level & expertise our family run business has built up in this time span across many industries including grain, flour, sugar milling, animal feed, fertiliser, fruit & vegetable to name a few. 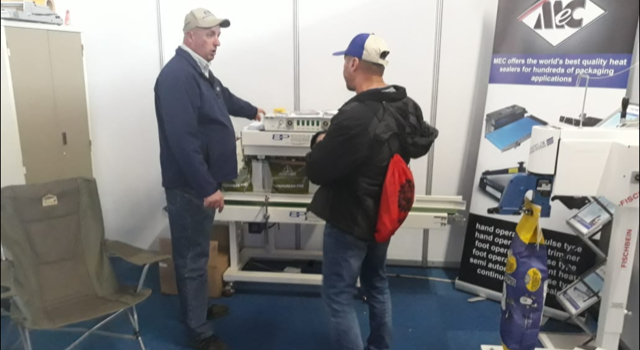 Buckle Packaging was at the 2018 Nampo Harvest Day in Bothaville. The Buckle Packaging Team know how to party. 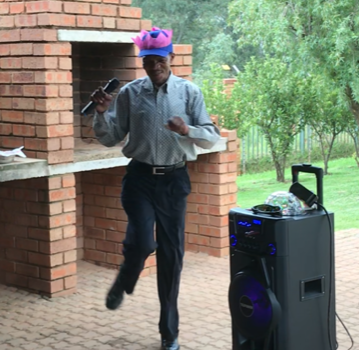 This years Christmas function got off to a great start with everyone enjoying each others company, good music and delicious food! Please remember to place your order for ‘bag closing thread’ timeously before the end of year rush. 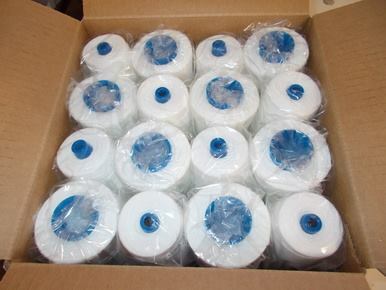 We have enough stock to cater for your demand. Available in Polo thread rolls for the portable machines, Jumbo thread for the heavy duty industrial stitchers, and 10kg precision wound ‘premium’ thread, as well as a range of colour thread. We are able to offer a range of conveyors to suit various applications. Bag closing systems for all types of material handling. 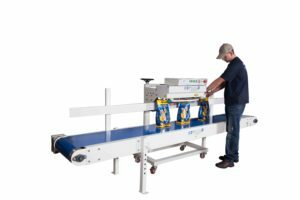 From PVC belts conveyors to plastic-modular belts. Buckle Packaging at Interpack 2017. The Buckle Packaging stand at Nampo 2017. 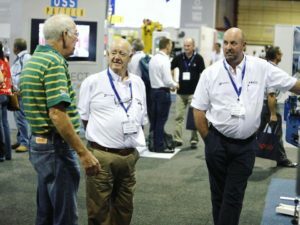 The excellent current season for summer crops has contributed to a new record of 78 648 visitors during Grain SA’s recent NAMPO Harvest Day. 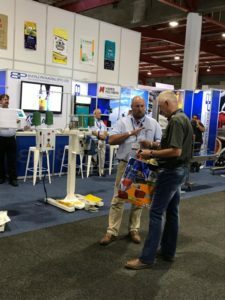 The visitor’s positivity was inspiring and many of the more than 700 exhibitors reported that their businesses benefited greatly. 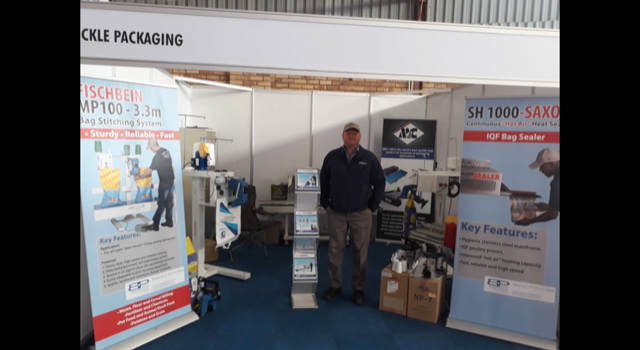 Buckle Packaging was pleased to be a part of the Potato SA Open Day in Warden on 10 February 2017. Be sure to visit us from 16 – 19 May 2017 at the Nampo Park in Bothaville, Free State (view map). Buckle Packaging will be there to exhibit our bag closing equipment to the agricultural sector. Grain milling, seed, fertilizer, potatoes and other agricultural related products. 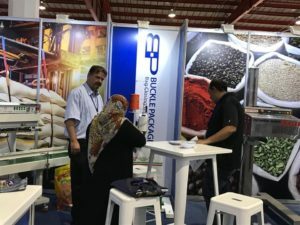 The Buckle Packaging stand at Propak March 2016. 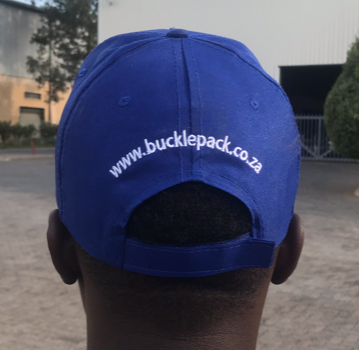 Buckle Packaging operates from the company owned premises in City Deep, Johannesburg and celebrates its 36th anniversary this year. 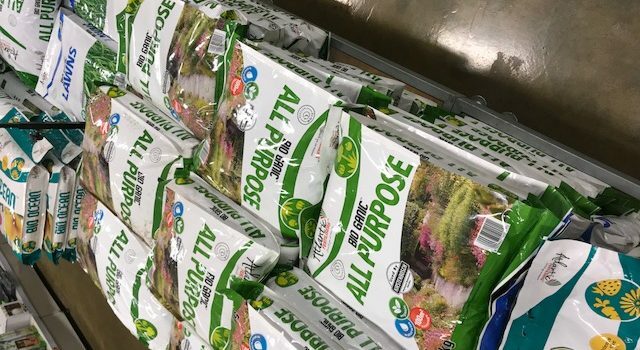 “No matter what the product is or the mate­rial, we hove a solution to closing the bag by either heat sealing, gluing or stitching,” soys Anthony Mason of Buckle Packaging. 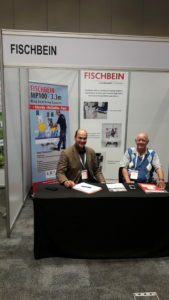 The company represents Fischbein Com­pany from the USA, with a product choice ranging from hand-held, entry-level bag closing machines to continuous in-line automatic bog closing systems. 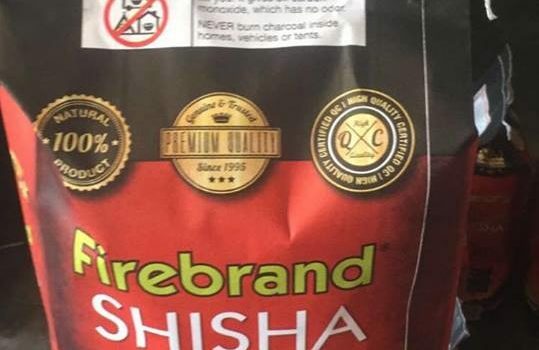 Packaging Review looks at flexible printing and sealing technology, from locally developed inks and efficient bag sealers to a European experimental project featuring smart indicators for flexible packs. 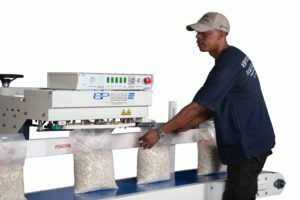 This year celebrating its 36th anniversary, Buckle Packaging has emerged as one of South Africa’s leading suppliers of packaging equipment for closing open-mouth filled bags. 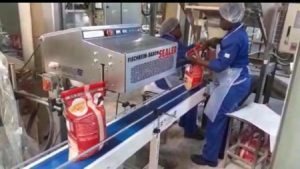 Bag form fill seal packaging machines which use flexible packaging material to form a package which is then filled and sealed in a sequence of operations to form a bag shaped or block bottom bag shaped pack.